TSB Bank is to grant each of its 8,600 employees £100 in shares at its initial public offering (IPO) as part of a new reward strategy to be rolled out in 2015. 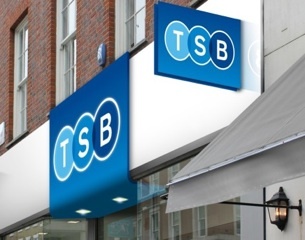 The bank also intends to replace its existing bonus structure with two new reward schemes: the TSB Award and the Sustainable Performance Award. The TSB Award is an annual performance-related bonus that, if awarded, would pay a percentage of annual salary to all recipients, determined on the same basis for everyone, from the chief executive officer to front-line branch staff. For the award to be paid, employees must achieve key customer service metrics and the bank must be profitable. The target award would normally be capped at 10% of salary, but there would be scope for this to increase to a maximum of 15% for outstanding performers at all grades. The TSB Sustainable Performance Award is a discretionary, executive reward plan that, if triggered, would deliver awards in a mix of TSB shares and cash. Any awards would normally vest in five equal tranches on the first five anniversaries of the date they were granted. The vesting of each tranche would be subject to continual performance against customer service and other key metrics and be at the discretion of the TSB remuneration committee. Depending on an employee’s grade, the on-target award levels envisaged for this award would range from between 25% to 62.5% of annual salary. The maximum award for outstanding, above target performance, would range from 35% to 100% of salary. These bonus plans will replace TSB Bank’s annual bonus and long-term incentive plans in order to rebalance executive remuneration away from variable award and towards fixed reward. It will also mean that the bank will comply with the bonus cap for European bankers, which took effect from 1 January 2014. TSB Bank is currently consulting with its three trade unions about the new reward strategy. Paul Pester, chief executive officer at TSB Bank, said: “I believe a sense of shared ownership among TSB staff is key to delivering a consistently great customer service and to building a thriving TSB Bank. Sandra Dawson, chair of TSB Bank’s remuneration committee, said: “TSB recognises that executive pay is an emotive topic so the board and remuneration committee have gone to great lengths to address these concerns. You have made some really good points there. I checked on the net for more information about the issue and found most individuals will go along with your views on this site. equipaciones de futbol Wow! This blog looks exactly like my old one! It’s on a completely different subject but it has pretty much the same layout and design. Outstanding choice of colors! maillot de foot pas cher Thank you for the auspicious writeup. It in fact was a amusement account it. Look advanced to far added agreeable from you! By the way, how could we communicate?